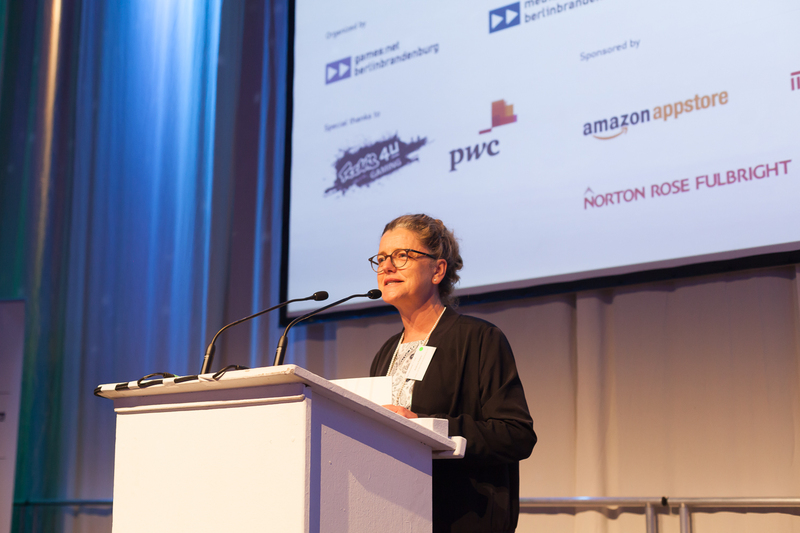 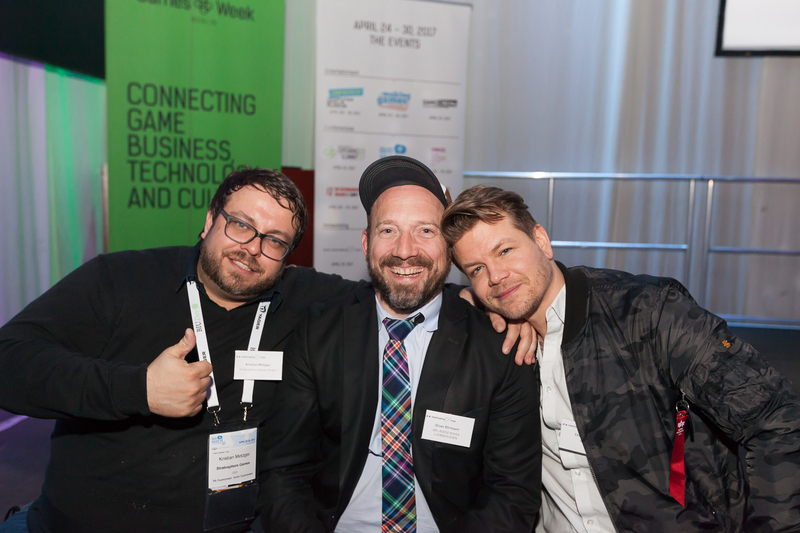 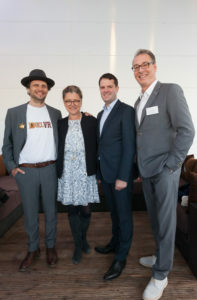 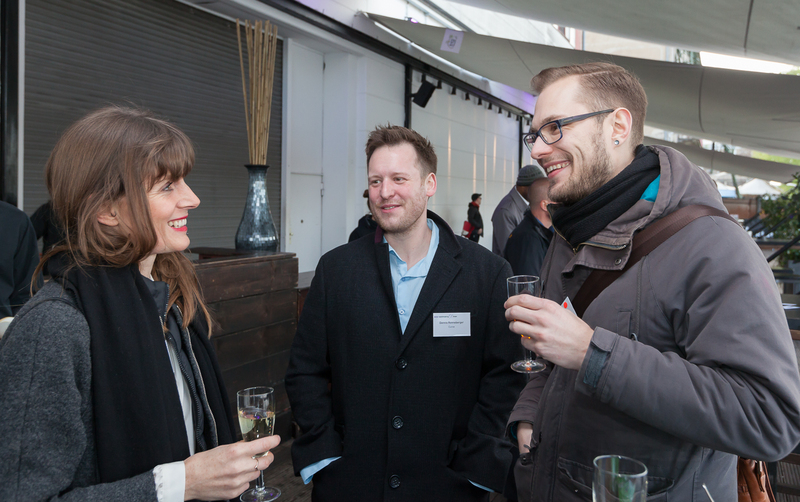 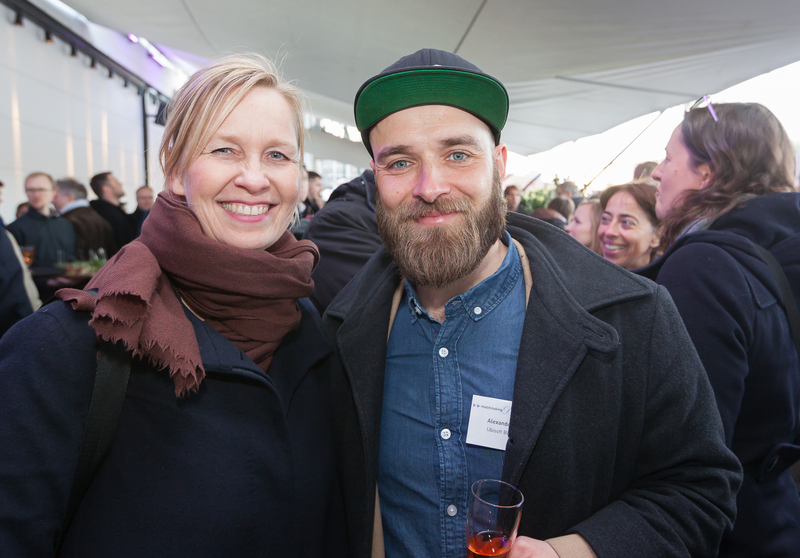 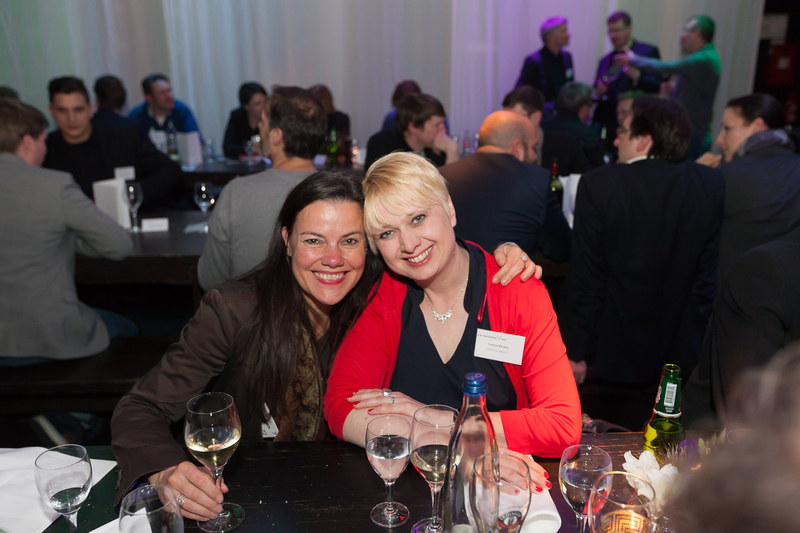 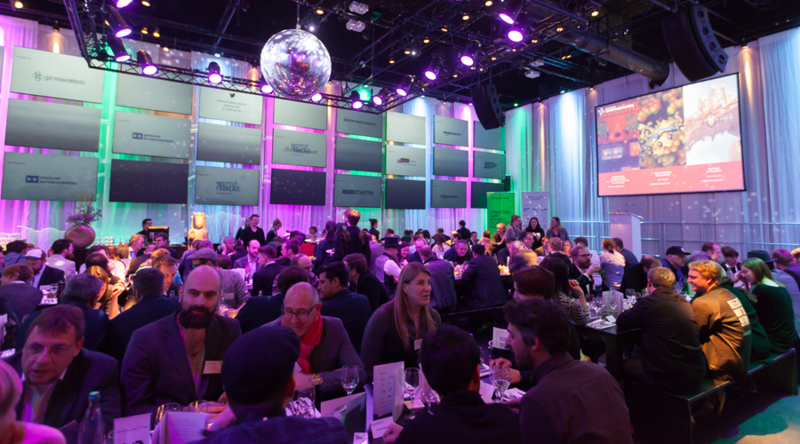 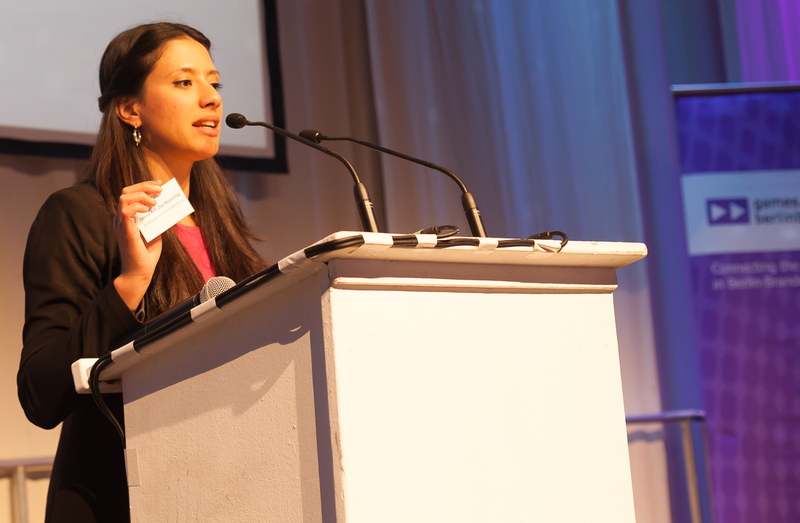 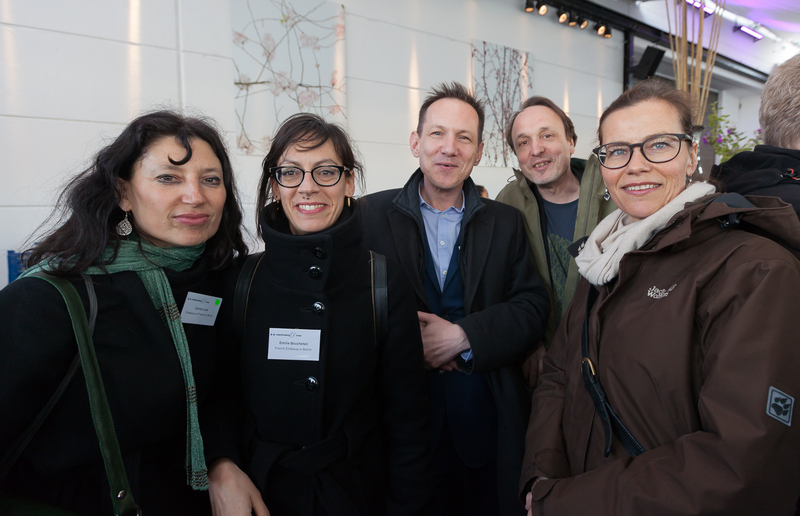 Matchmaking Dinner in the frame of International Games Week 2017 | media:net berlinbrandenburg e.V. Am 25. April brachte das Matchmaking Dinner des games:net mehr als 200 Branchen-Entscheider zusammen. 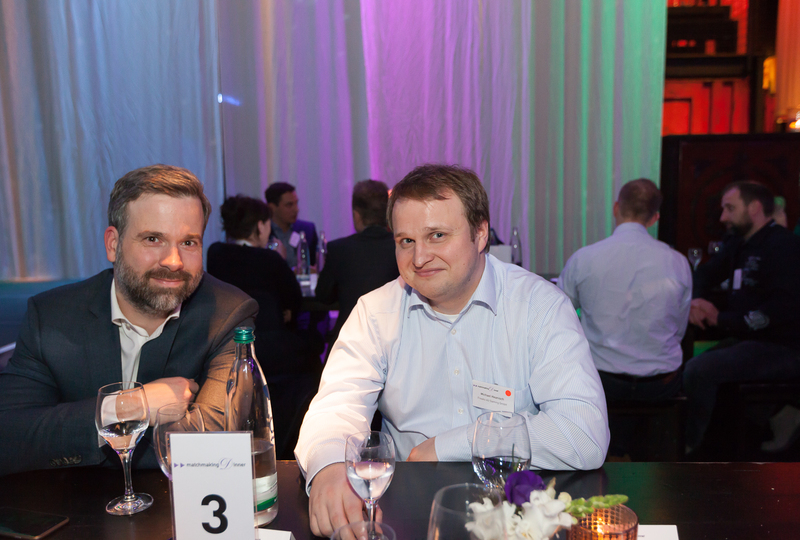 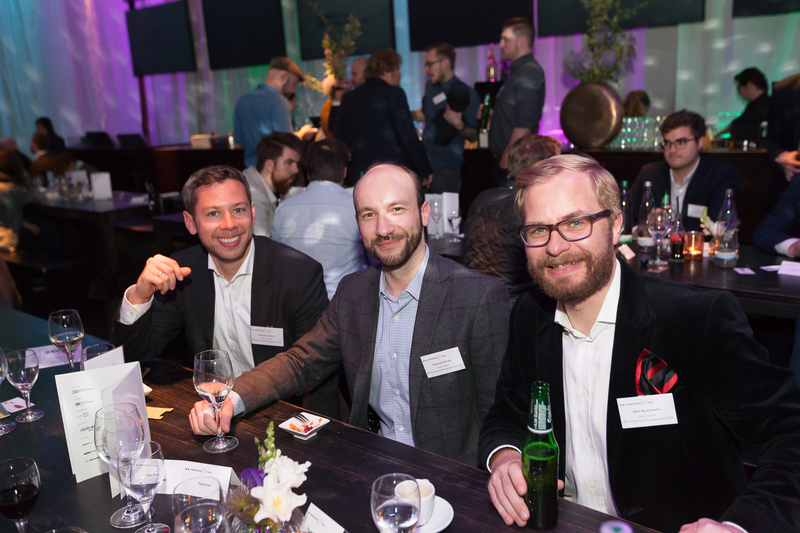 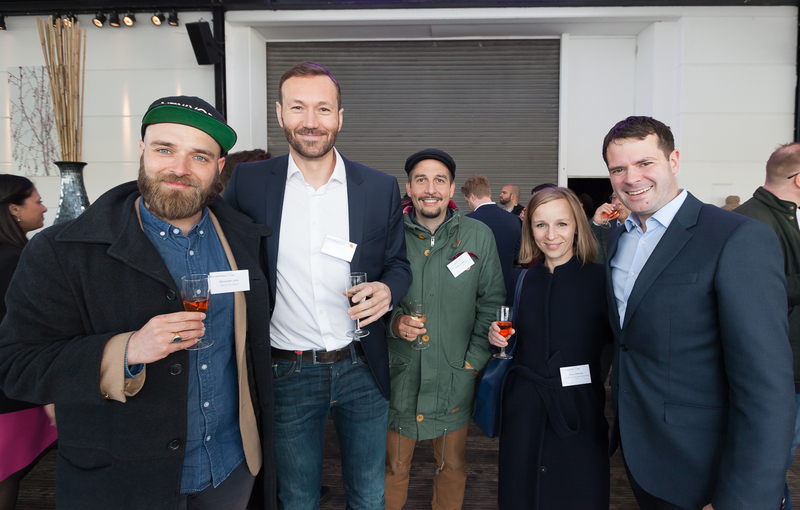 // The 2017 Matchmaking Dinner brought some of Germanys and Europes most important decision makers in the gaming sector together at Spindler & Klatt. 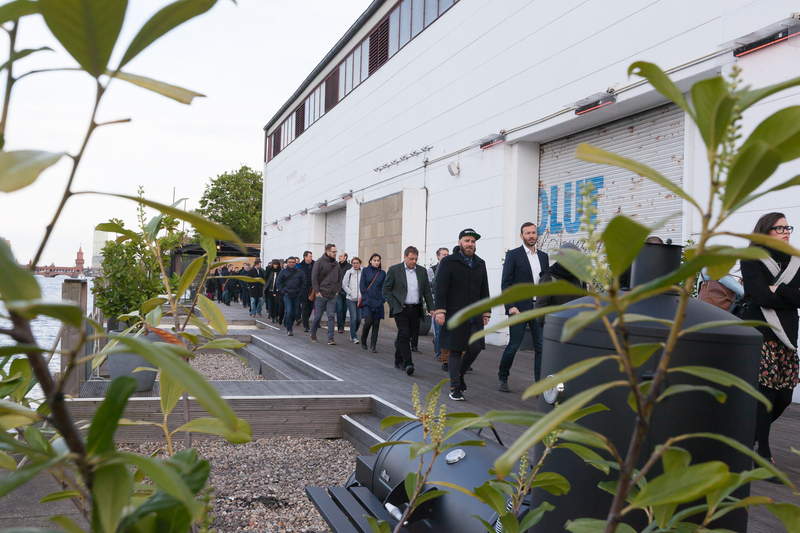 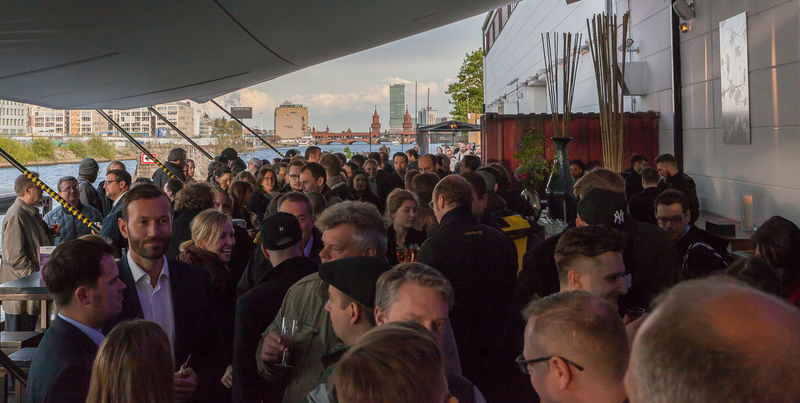 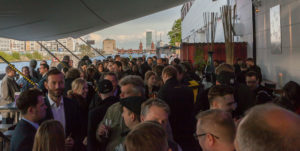 More than 200 guests met for games:net´s most thrilling event of the year. 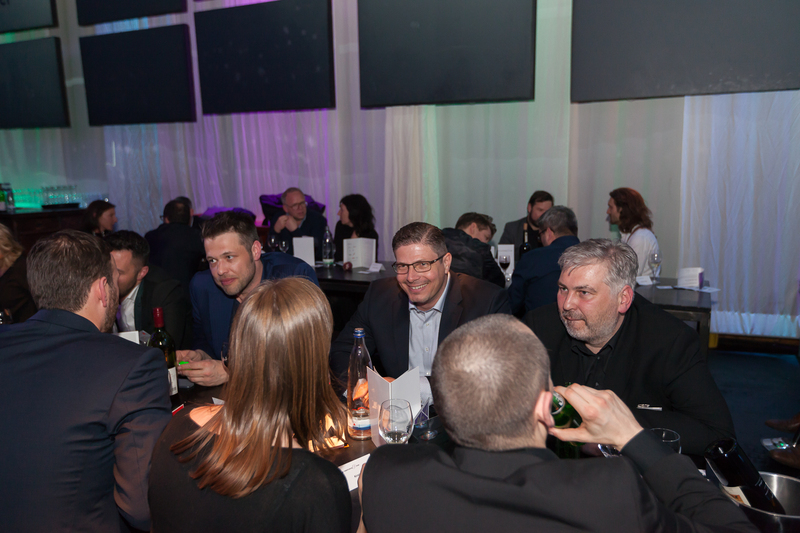 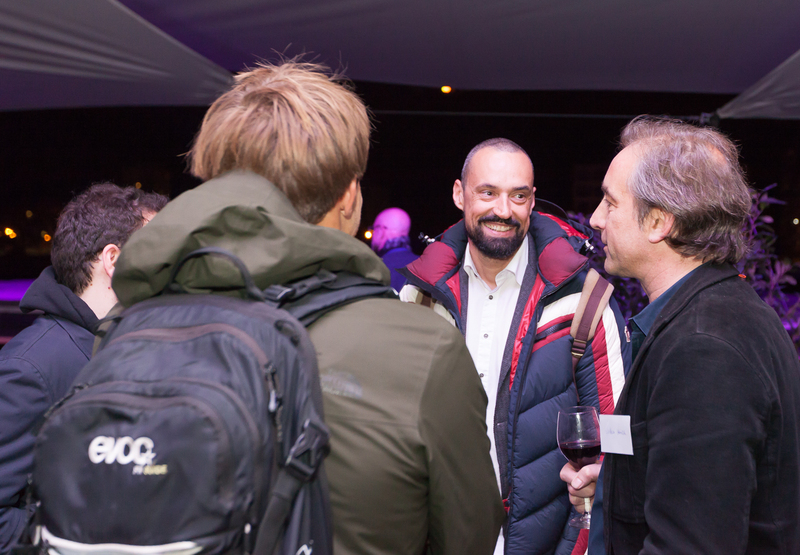 In the frame of the 2017 international gamesweek the dinner made connections possible between stakeholders ranging from all areas of business with the brightest heads of the international games-culture. 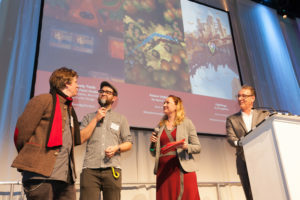 After a warm welcome by Andrea Peters, CEO of media:net berlinbrandenburg, Michael Liebe, head of conference at the International Games Week Berlin, welcomed all guests to the matchmaking dinner, he went on to highlight the importance the dinner has achieved in the calendar of the International Games Week. 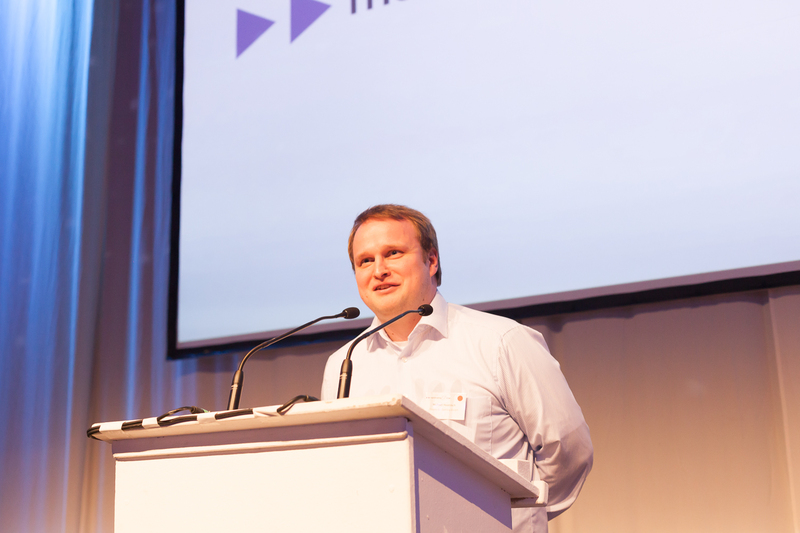 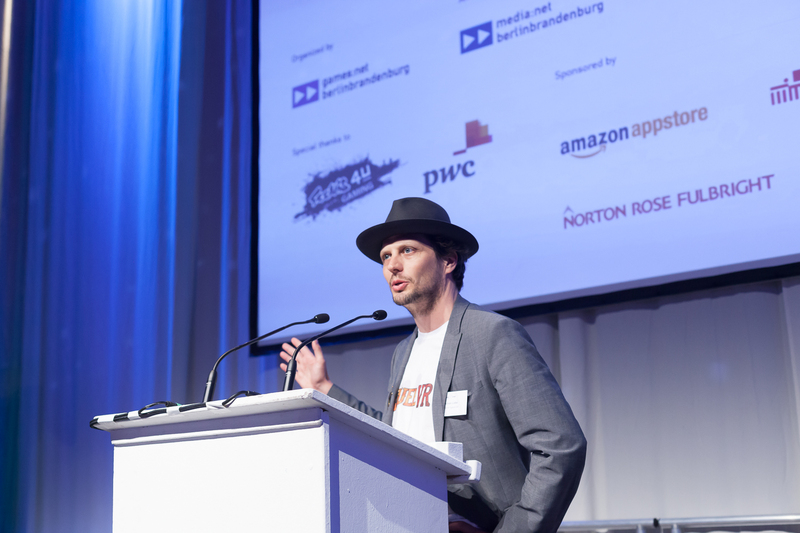 Helge Jürgens, head of the media funding organisation Medienboard Berlin-Brandenburg addressed the guests and went into detail why and how the games industry has become a key pillar of the capital region as a media hub in Europe. Afterwards he and Ina Göring, funding advisor of the Medienboard berlin-Brandenburg had the great honour to welcome nominees to the stage of the computer games award Germany 2017 (DCP). 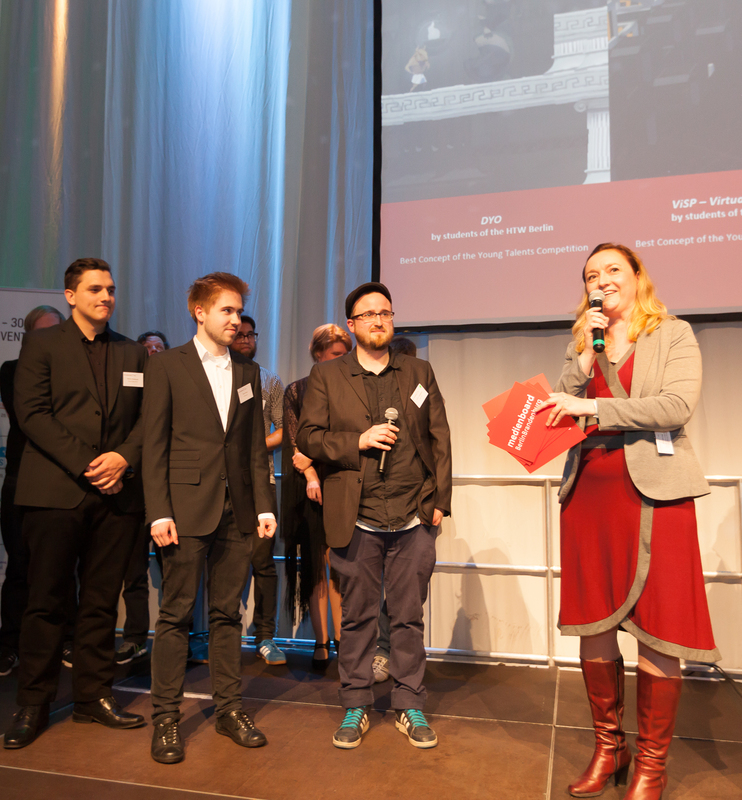 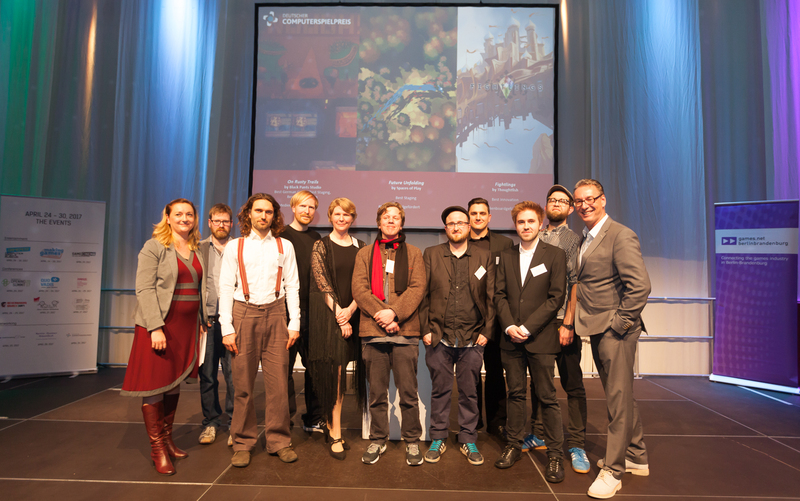 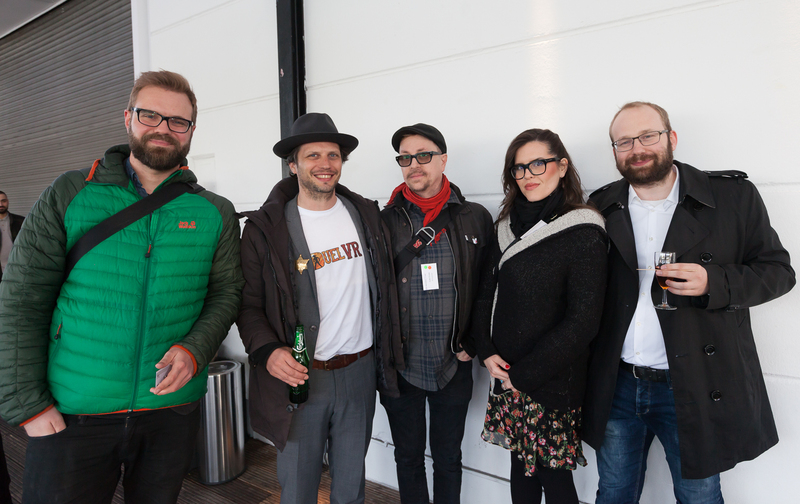 This year six of the nominated game titles were created in Berlin by veterans or students highlighting the rich diversity of this exciting media-sector. The nominees on stage were Sebastian Stamm for „On Rusty Trails“ (Black Pants game studio), Marek Plichta for „Future Unfolding“ (Spaces of Play), Christina Barleben for „Fightlings“ (Thoughtfish). In the categories for the newcomers Daniel Helbig was nominated for „Twisted Lines“ (Megagon Industries), Oliver Langkowski was addressing the guests in the name of HTW for the title „DYO“. 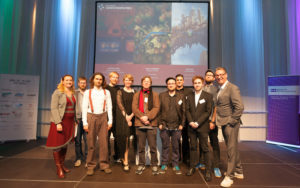 A second team from HTW was nominated alongside the other newcomers for „VISP – virtual space port“. 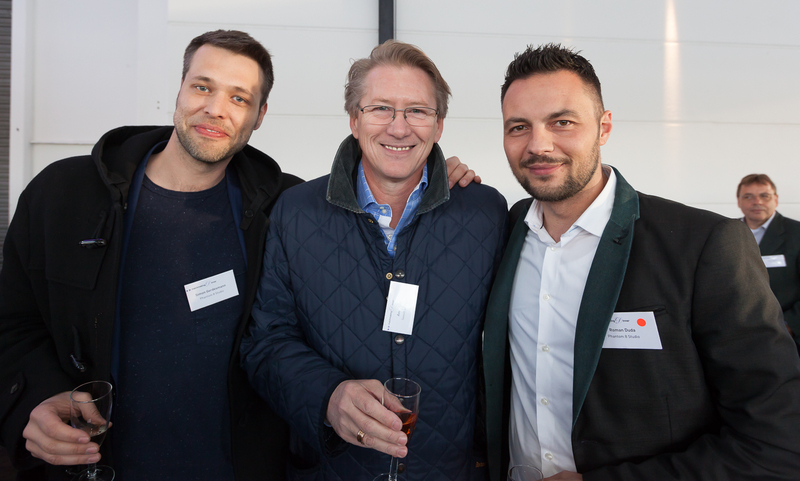 We were also delighted to welcome last years winner Jan von Meppen back to our dinner. 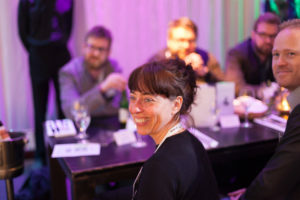 In the classic fashion of our games:net matchmaking efforts half of the guests were invited to switch tables after the first course so we could give everyone the opportunity to engage in interesting and productive conversations. 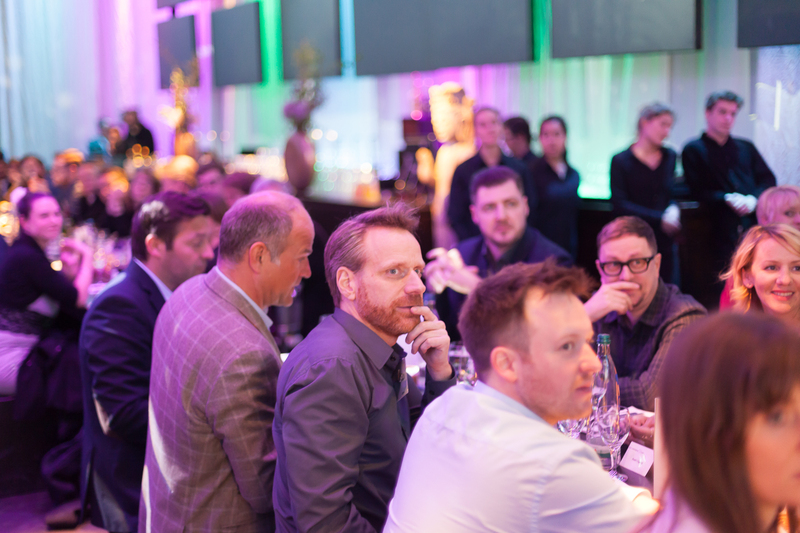 Every proper dinner needs a dinner speech and this year we had our games:net partner, one of E-sports most influential marketing managers and CEO of Freaks 4U Gaming Michael Haenisch doing the honours. He took to the stage to give us an insight on what has been his motivation and drive in perusing a successful career in E-sports management which has been going strong for well over a decade. 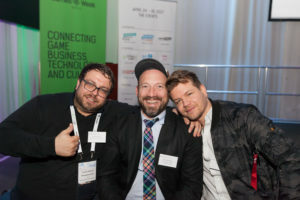 The games:net berlinbrandenburg thanks its co-organiser International Games Week Berlin, its funder Medienboard Berlin Brandenburg and its partners: Amazon Appstore, BerlinBalticNordic.net, Berlin Partner, Institut Francais, Kickstarter, Quo Vadis, Freaks 4U Gaming, Norton Rose Fullbright, Paymentwall, PricewaterhouseCoopers.